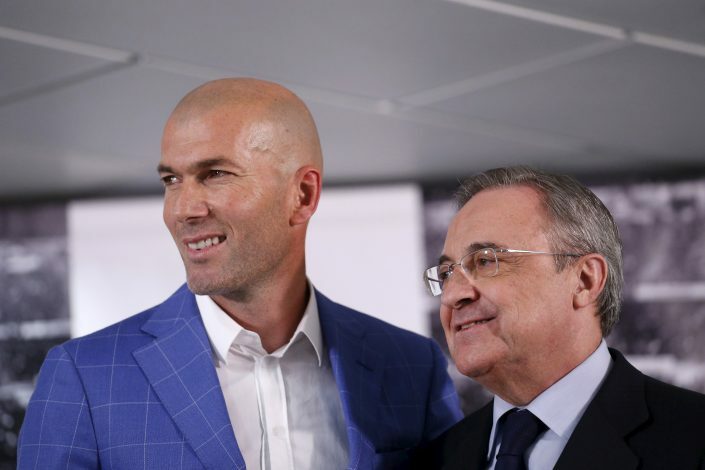 Manchester United‘s tryst with Zinedine Zidane has been well-documented over the past few weeks, with it seeming likely that the media has been fueling much of the seeming speculation over the apparent interest from both sides. All of this has arisen under the backdrop of Jose Mourinho’s Red Devils fielding pathetic outing after pathetic outing, the club’s worst start to a season in their long history. All in all, the former Madrid gaffer seems like a brilliant replacement for Mourinho at Old Trafford, and a detail back from his time with the La Liga giants could prove to be a strong point in favor of his arrival in Manchester. As per MEN, Real were highly eager on signing United’s trio of Paul Pogba, Anthony Martial, and David De Gea back in the middle of last campaign. The De Gea interest was part of Madrid’s ongoing pursuit for the world-class shot-stopper, one that their summer acquisition of Thibaut Courtois put to an end. As for Frenchmen Pogba and Martial, it is Zidane who is believed to be a heavy admirer of the duo, and the common compatriot link is quite prominent. Further, the same source reports that Real Madrid have asked to be informed about the availability of these players in the future as well, and that the interest would be an ongoing affair. However, it is interesting to note how this will affect the possibility that United will indeed sign the French gaffer as Mourinho’s replacement. In addition to his illustrious resume during his tenure with Madrid, the sort of players he could sign with respect to his prior links is also a very appealing prospect. While the most recent murmurs surrounding the possibility of Zidane being signed indicate that the gaffer would rather move to the likes of Juventus, such possibilities really do fuel the rumor mills.